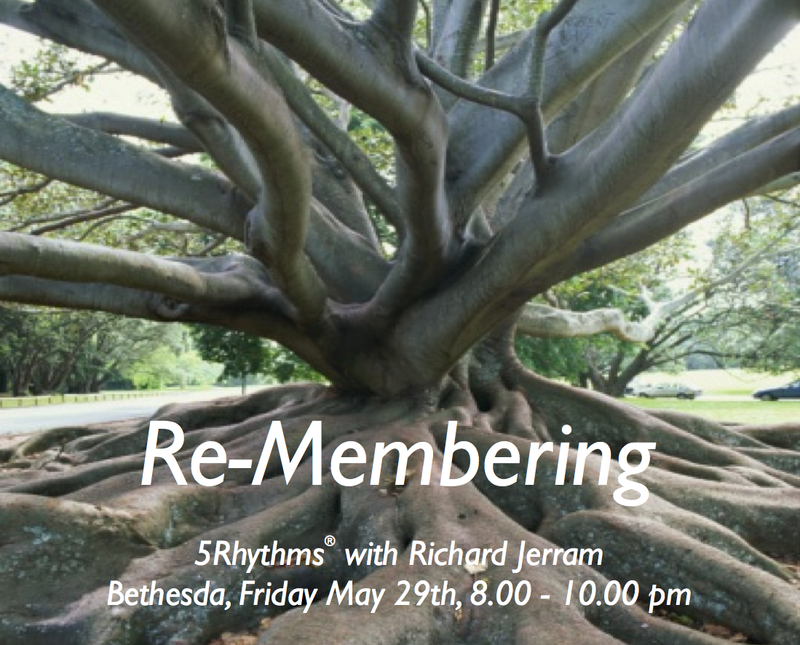 Next up at Carderock is Re-Membering, taught by Richard, 8.00 – 10.00 pm, May 29th. Independent as we are, we are also branches of a tree whose roots go back to zero. Every change invites us into movement and asks us to find the limbs we have and to put out fresh growth. Following Memorial Day let us invite those we have loved and lost into our dance and bring ourselves more deeply into the present by re-membering ourselves.